Why do I need a professional to groom my cat? 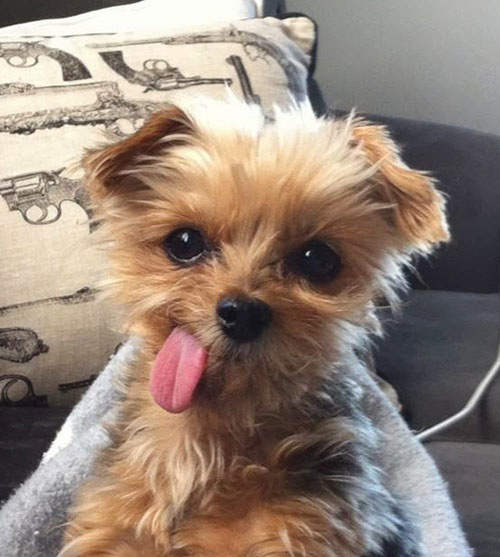 Don’t they groom themselves? Bringing your cat in for professional grooming at Tails is safer for you, and the cat…and the cats don’t groom themselves as well as we can groom them at Tails! Firstly, while a cat does groom itself, it uses only its saliva to do so. As you can imagine, this has limitations. If there are any tangles, only a brush, or a set of clippers can take care of the mess. A cat’s skin is so delicate, we don’t suggest you try these methods at home. You may hurt your cat, which will undoubtedly then try to then hurt you. Mad cats are dangerous critters! Secondly, older cats are not as limber as they once were, and aren’t able to reach all places, resulting in more mattes and tangles. Third, we can de-shed your cat, meaning that all that loose dead hair stays with us, and doesn’t cover your furniture, or pave the way for massive hairballs. Fourth, we can shave your cat, in part, or whole, reducing said shedding even further, and allowing for a more comfortable cat, especially in warmer weather. Finally, we think you will agree, that a sweet-smelling, freshly shampoo’d cat is so much better on your lap to cuddle than when it’s freshly bathed itself in spit….just saying. Book a cat grooming today, and know that we’ll do the best for you and your cat’s health and peace of mind. 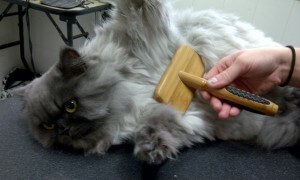 Below, one of our grooming clients, Oscar, relaxes as our groomer Jamie brushes his tummy. To the winner goes the spoils! On the 1st of each month we hold Hamster Races at Tails. The winning hamster receives a prize as a reward for their racing skills. On October 1st, the winning hamster was Daisy, who received a wooden trixie maze as a prize. Below is a picture of Daisy and then a drawing of Daisy, as done by her proud owner. Also pictured is a picture and drawing of the 2nd place hamster, Melody. Make sure you come to our next hamster race on December 1st!